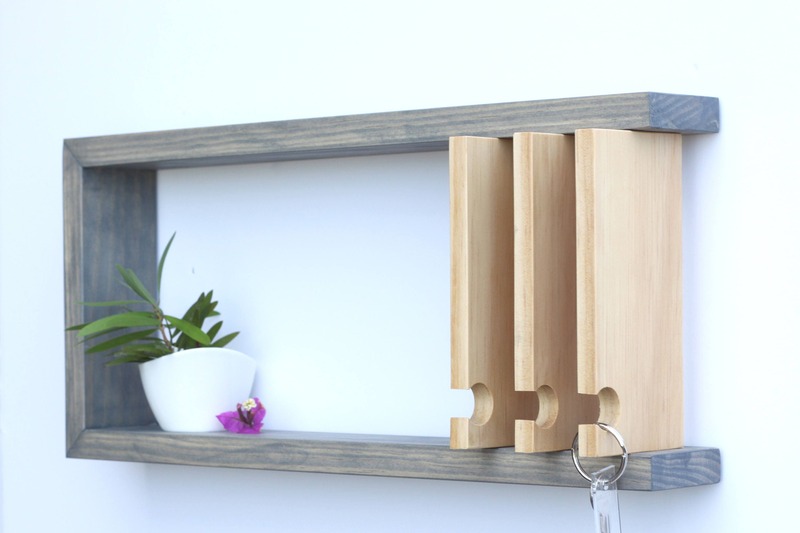 Our handcrafted entryway organizer is made of wood, and features a geometric design with unique hooks for hanging your keys, a 2-1/2" inch deep shelf for displaying or storing small items, and a 3/4" slot behind the keys to slide your mail. 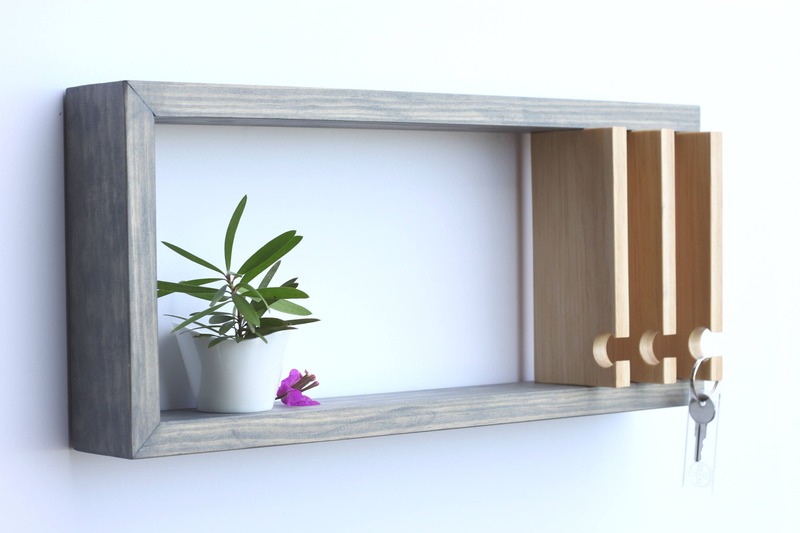 It also works great as a jewelry storage for organizing bracelets, necklaces, watches, and perfumes or other small trinkets. 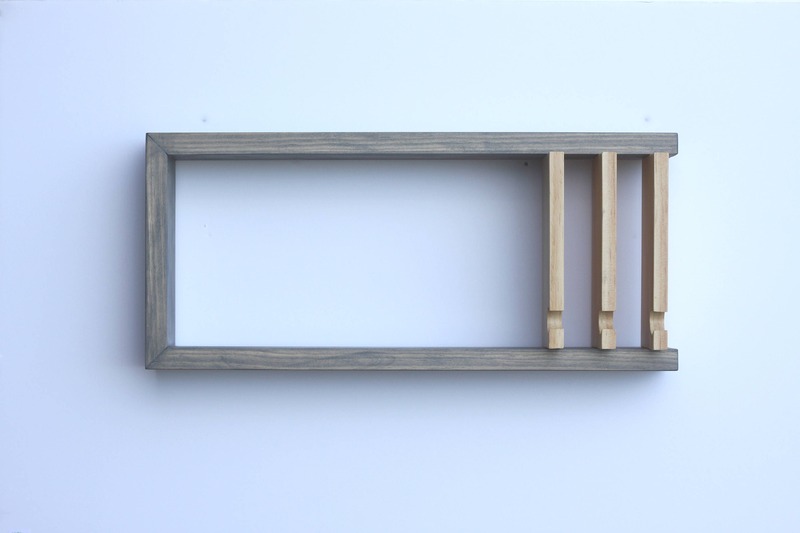 ♣ Color: Weathered Gray stain with natural wood key hooks. The item is finished with a modern matte clear coat. 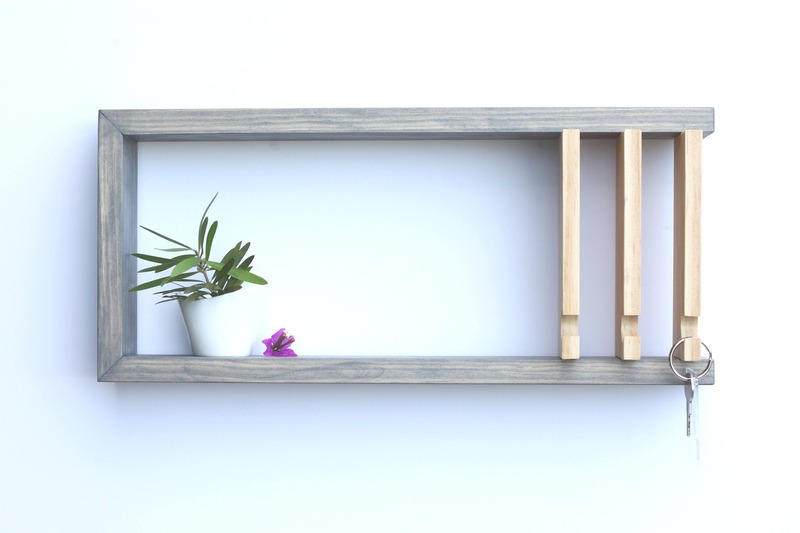 ♣ Our modern shelf is easy to install and as a courtesy, wall anchors and screws are provided! 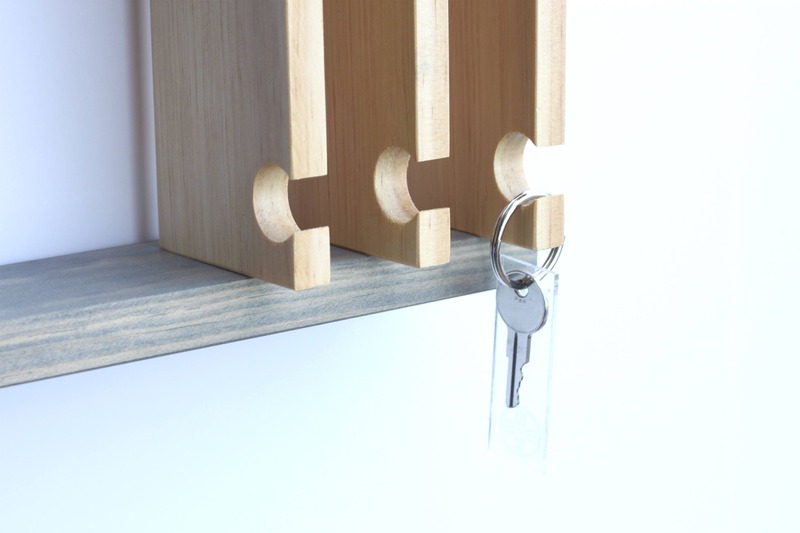 ♣ Your wall key holder ships via USPS in 5-7 business days following receipt of payment. ♣ Custom orders ship 7-10 business days following receipt of payment. Custom orders are final sale.